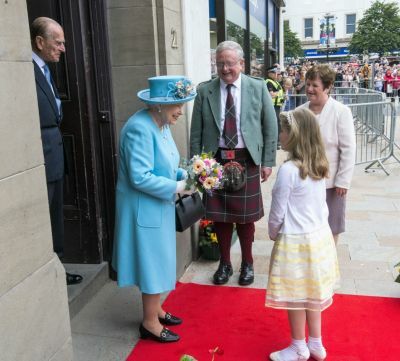 HM the Queen visits the City of Dundee, Scotland on 6 July 2016. HM the Queen speaking with the young lady after receiving the posy from her. The young lady, and The Lady Provost.